If you are buying a used car in addition to doing the other fluids that we have suggested that you check, you also need to check the vehicles brakes. Brakes on a vehicle are one thing that are designed to wear out. 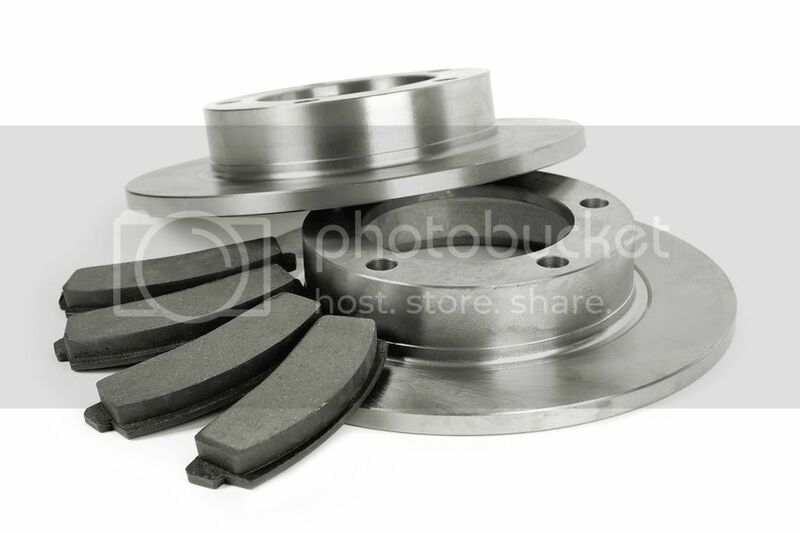 It is the friction between the rotor and the pads that stop the vehicle when you apply the brakes. If both the pads and the discs were made out of hardened steel you wouldn’t get any stopping power. In this article we will cover checking the front brakes on cars and trucks. On newer cars with open rims it can be fairly easy to get a quick glance at the condition of the brakes. The front brakes are anywhere between 60 and 70 percent of your stopping power. When you first walk up to the vehicle you can look at the front brake rotors by looking through the rim and checking the condition of the rotors. Make sure that the vehicle hasn’t been driven, otherwise they will be to hot to touch. Hopefully the rims are open enough so that you can get a good glance at them. Try and see if you notice any ridges across the rotor. If you can stick your finger through the rim you can also feel the rotor to detect if there are ridges across the rotor. If there are, there is a good chance that the vehicle will need a brake job soon. If the rotor is nice and smooth then that is a good indication that the brakes are in good shape. You will also want to open the hood and check the brake fluid. There is either a level indicator on the outside of the brake fluid canister, or there is a dip stick on the filler cap. Make sure that the fluid is within the specified limits. If it is low it could be another indicator that the vehicle is in need of a brake job. As the pads wear, the pistons in the calipers extend farther requiring the use of more fluid. Now go ahead and get in the vehicle and turn the ignition on, but do not start the car. Take notice of all of the indicator lights on the dash. Does the vehicle have an ABS light or brake light? ABS light is Anti-lock Brake System and under extreme braking conditions diverts braking power to other wheels to keep the vehicle from going into a skid. This light is usually yellow on the dash and a “Brake” light is usually red. Now start the car and be sure that these lights go out. If they turn off, then everything in the brake system should be in working order. If an ABS light or Brake light remains on, then the brake system is in need of servicing. Next, you want to go ahead and drive the vehicle. While you are driving apply the brakes and take notice as to what the steering wheel does. Does the vehicle continue to go in a straight line, or does it pull to one side or another. The vehicle should continue to go in a straight line, if it pulls to one side or the other then one side of the brakes is working harder than the other and indicates that a brake service is needed. You also want to listen while applying the brakes. Do they make a squealing noise or grinding noise? If they squeal it is an indicator that a brake job is due. Many cars are now equipped with what are called “squealers” on the brake pads. It is designed so that when the pads wear down to a certain point the “squealer” touches the rotor letting you know the vehicle needs pads and helps protect the rotors. If you hear grinding – well it definitely needs to go to the repair shop to have the brakes looked at. 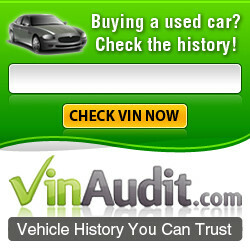 On newer vehicles that you are considering purchasing, you can also order a vehicle history report to see if the vehicle has been maintained by the dealer and if it shows time for servicing. However, the vehicle may not have been maintained by the dealer so these records may not be available. In any case, before you buy, you to ask if you can take the vehicle to your local mechanic to have it checked out to give you a little more piece of mind. This post was created by one of the owners and provides it for the use and benefit of it's readers. We have not received any compensation from other affiliates on this site for writing this post.